The creative team behind Green Arrow and Old Man Logan—New York Times bestselling and Eisner Award winning writer Jeff Lemire (ROYAL CITY, DESCENDER) and critically-acclaimed artist Andrea Sorrentino—launched GIDEON FALLS today to critical acclaim and served fans another breakout hit. Issue #1 of the highly anticipated horror/mystery series is being rushed back to print on the same day as its release in order to keep up with overwhelming customer demand. PORTLAND, OR, 3/7/2018 — The creative team behind Green Arrow and Old Man Logan—New York Times bestselling and Eisner Award winning writer Jeff Lemire (ROYAL CITY, DESCENDER) and critically-acclaimed artist Andrea Sorrentino—launched GIDEON FALLS today to critical acclaim and served fans another breakout hit. Issue #1 of the highly anticipated horror/mystery series is being rushed back to print on the same day as its release in order to keep up with overwhelming customer demand. 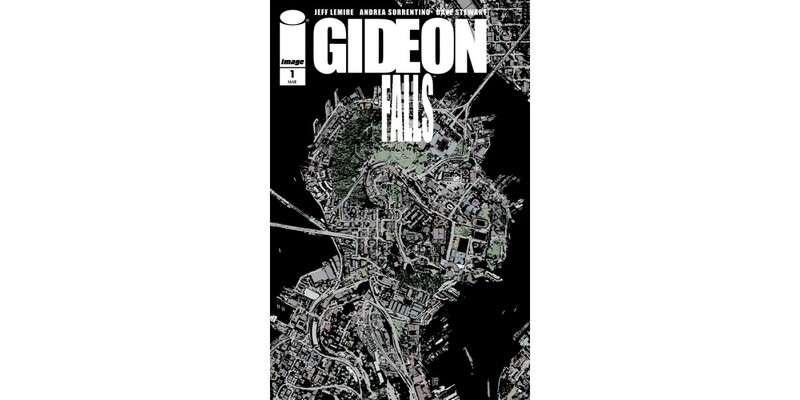 GIDEON FALLS #1, 2nd printing (Diamond Code JAN188895) will be available on Wednesday, April 4th. The final order cutoff deadline for retailers is Monday, March 12th.